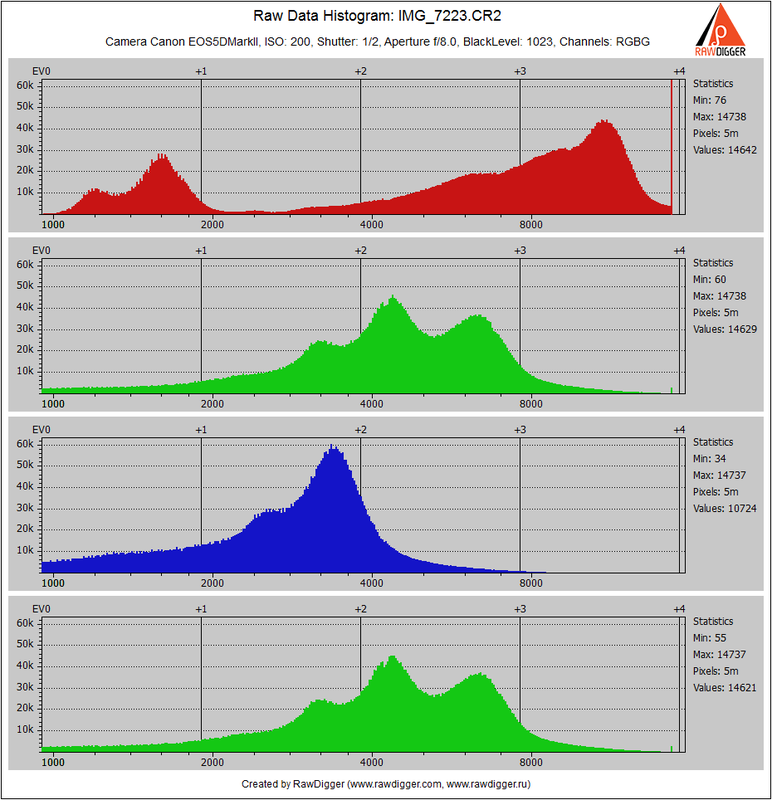 The histogram for an image and the overexposure warning are meant (in theory) for objective verification of the image while shooting and adjustment of shooting parameters according to the indications in the preview window one can see the overexposed areas right away, and the histogram displays the overall distribution of tones on the shot. The goal of this article is to elaborate on the procedure of juxtaposing the camera histogram and the real raw data, as opposed to merely provide settings and numbers. This, among other reasons, was why the shooting conditions were not exactly typical. We used a 5D Mark II camera with a 2.0.9 firmware and at 200 ISO. For other cameras, different shooting conditions, possibly other ISOs, and other firmware, separate measurements are to be performed. New Preferences parameter: Use Regional settings when saving CSV/CGATS. If the parameter is switched off, period (".") is used as the decimal separator, and comma (",") is used as the field separator. Unlike film sensitivity, which can be measured using a standard procedure, the sensitivity of a digital camera is somewhat a fuzzy concept. Moreover, the sensitivity of the camera turns out to be a pretty random variable, and the camera manufacturers do not make it easier for the user, adding quirks of their own. Further on we will discuss a simple method, which allows us to calibrate the exposure meter in such a way that on different cameras (or on different sensitivity settings of the same camera) the results are predictable. Unlike its film-using predecessors, modern digital cameras present us with a challenge of a non-replaceable sensor. Due to this, the given amount of light, which falls on an element of the sensor (pixel), creates the same charge irrespective of ISO sensitivity setting resulting in an identical output signal. 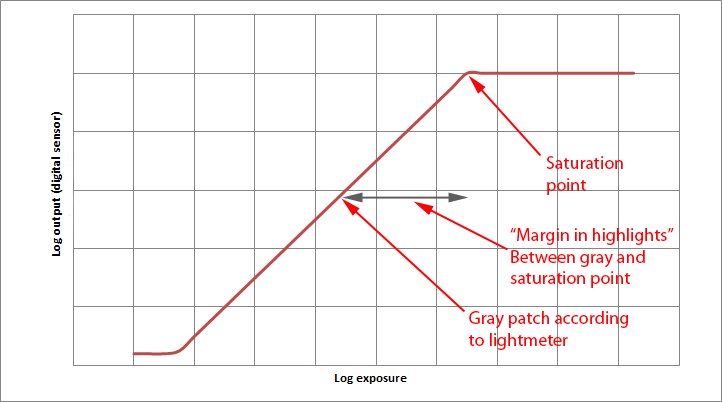 The response of the sensor itself depends only on the light, and not on the digital camera sensitivity (ISO) setting. It would seem that this contradicts everyday photographic practices: if there is not much light, you have to set the sensitivity (ISO value) higher, and the picture will come out right, but if you set the sensitivity low, then it won t come out right. Lets have a closer look. This is initial english-language release. It is in sync with 0.9.8-RU, several bugs found in 0.9.5-0.9.7 are fixed.